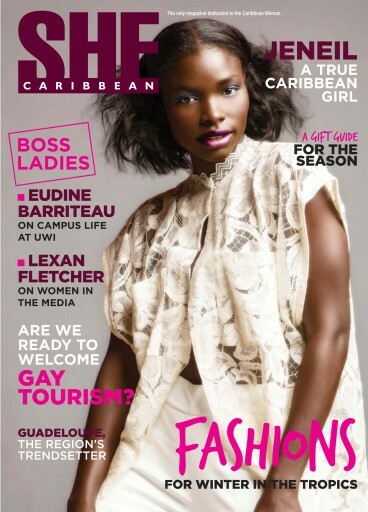 Read about Jeneil Williams - A true ambassador of Caribbean girls. Fashion tips for a Tropical Winter, including information on the new island trendsetter: Guadeloupe. Read our special feature on Boss Ladies Eudine Barriteau and Lexan Fletcher and how they have excelled in their respective fields. Finally, is the Caribbean ready for gay tourism? SHE Caribbean weighs in.